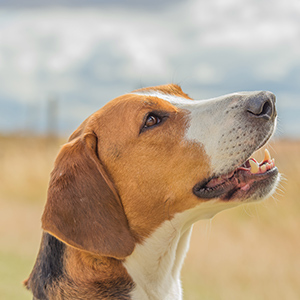 A handsome tri-coloured hound from Sweden developed for hunting, this breed with the fun-to-pronounce name is the result of crossing English Foxhounds with Harriers. 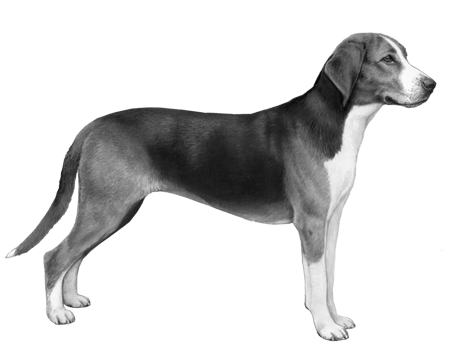 Developed in the 1800s by Count Adolf Hamilton, one of the founders of the Swedish Kennel Club, the breed filled a very specific need for a sturdy, capable dog that was able to flush out prey for its hunter companion. 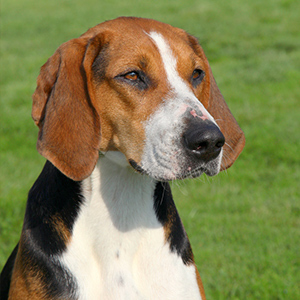 The Hamiltonstövare is a large-sized breed dog that resembles the English Foxhound, but its frame is lighter. 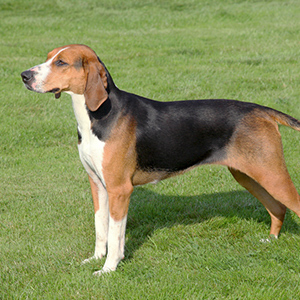 A tri-colour breed, they feature a black and brown coat with some white on the face, neck, tail and lower legs. 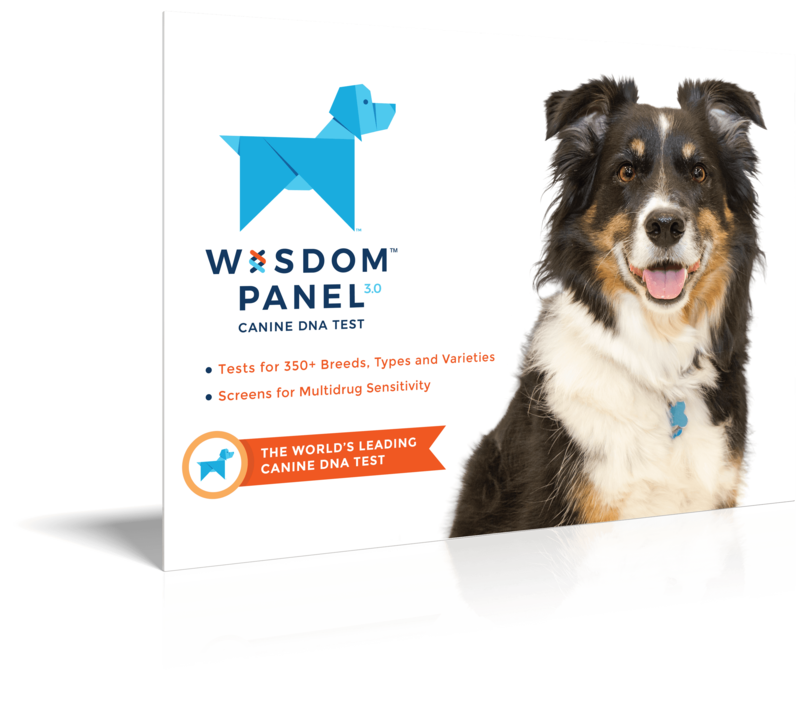 Their undercoat is short, close and soft, and especially thick in the winter time making it perfect for those cold Nordic climates.